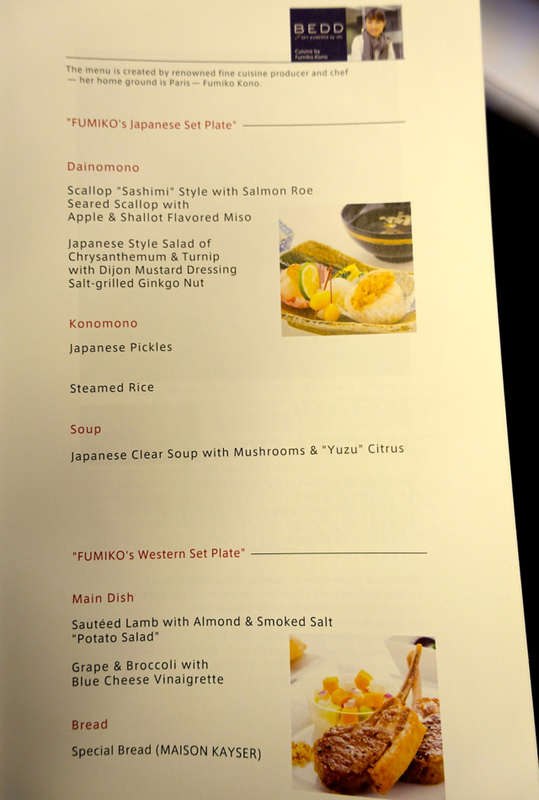 This Japan Airlines (JAL ) Sky Suite Business Class Review from Tokyo NRT to New York JFK on a 777 is part of a trip report including Qantas First Class, British Airways Business Class, Cathay Pacific Business Class, and luxury hotels and dining in London, Dubai, and Hong Kong. We were ready to fly home from Tokyo to New York, and hopefully get some good sleep on the way, in JAL Sky Suite Business Class on the 777. 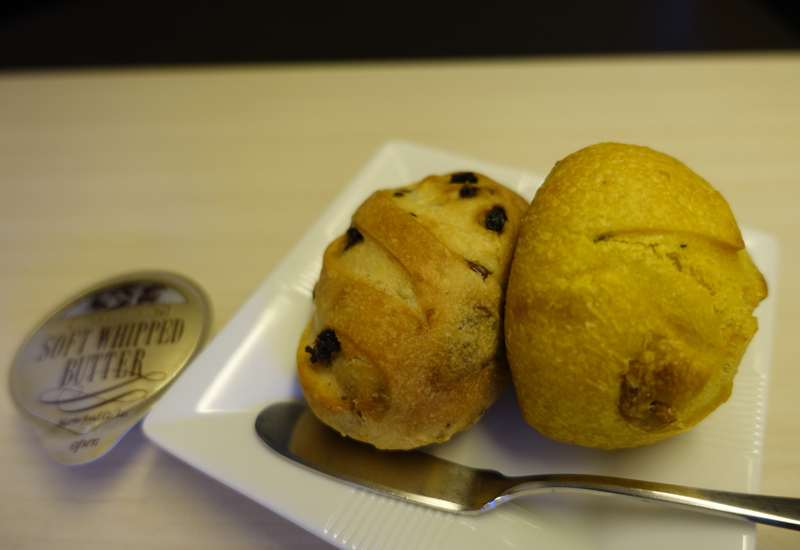 Some consider this the best airline business class product currently, so I was excited to try it. 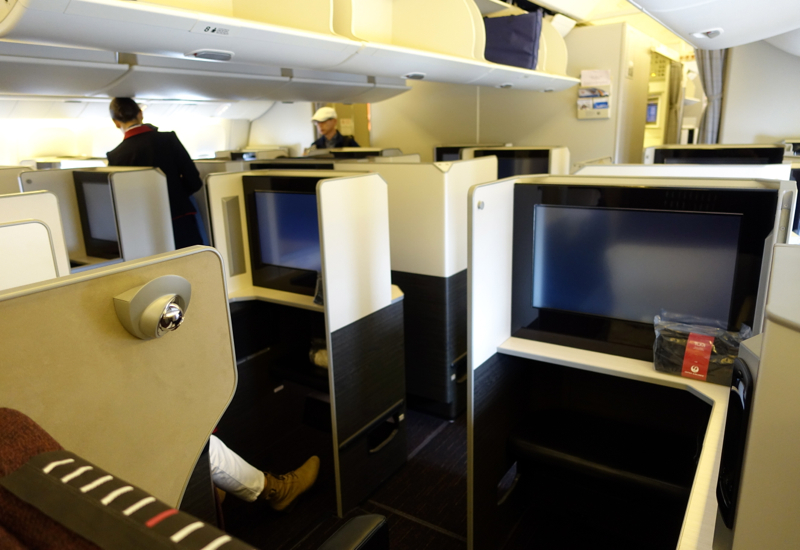 JAL Sky Suite Business Class is in a slightly staggered 2-3-2 configuration, such that each passenger has direct aisle access. Since even the window Sky Suites and the middle Sky Suite of the 3 in the center of the cabin have direct aisle access, I highly recommend that you *not* choose an aisle Sky Suite since they're more exposed and subject to disturbance by foot traffic in the aisles. 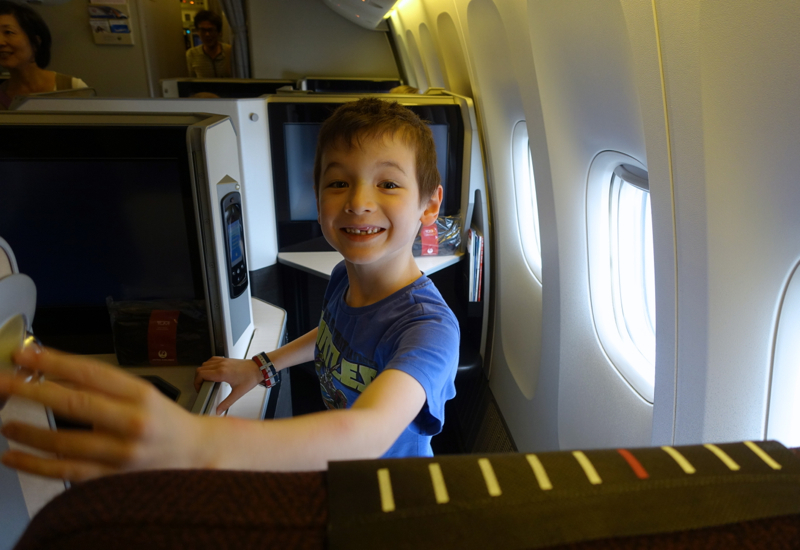 In fact, the only Sky Suites I recommend choosing are window Sky Suites, which is what I did for my son and me–we opted for 8K and 9K, window seats one in back of each other. 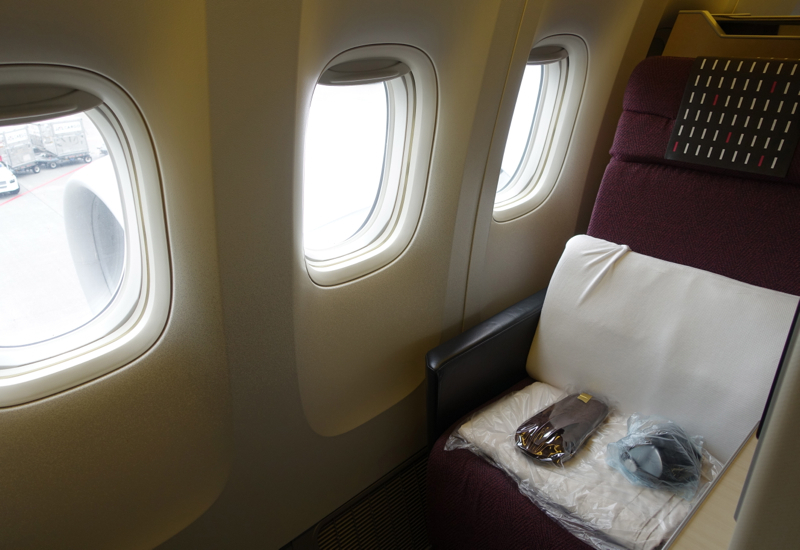 Each window Sky Suite has 3 windows and very private–a real step up from most international business class. As you'd expect from a 2-3-2 configuration, JAL Sky Suite seats are fairly narrow (25.5 inches in width) but offer tons of leg room. The fabric upholstered seat doesn't feel as luxurious, as say Singapore New Business Class, with its wider design and sleek leather seats. Seat controls are intuitive and were easy to operate. 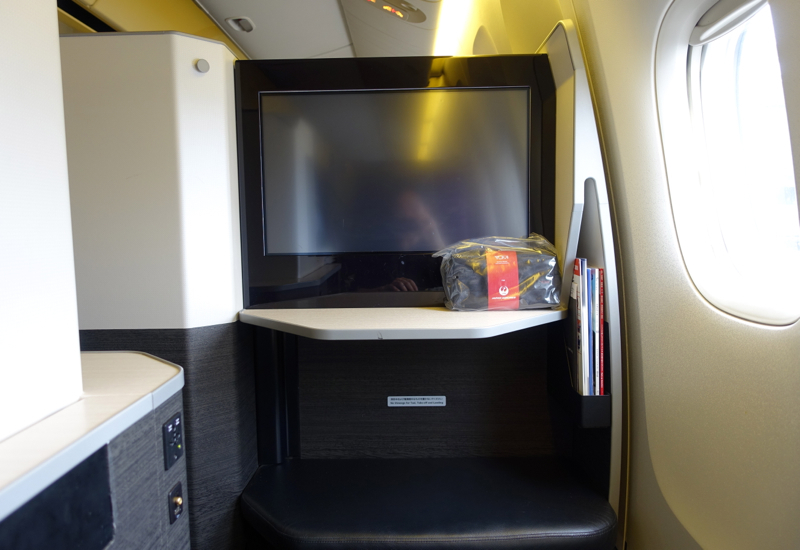 The LCD monitor is 23 inches, which is the same as in JAL First Class and one of the largest in business class (Singapore New Business Class has an 18 inch screen) and the ottoman below the screen, which forms part of the fully flat bed, offers storage space during the flight. Business Class amenity kits are usually very basic (recall that British Airways' Elemis amenities were in a simple fabric pouch) so JAL's presentation in a TUMI amenity bag was a nice touch, even though the products themselves were similar to what you get on many international business class flights. 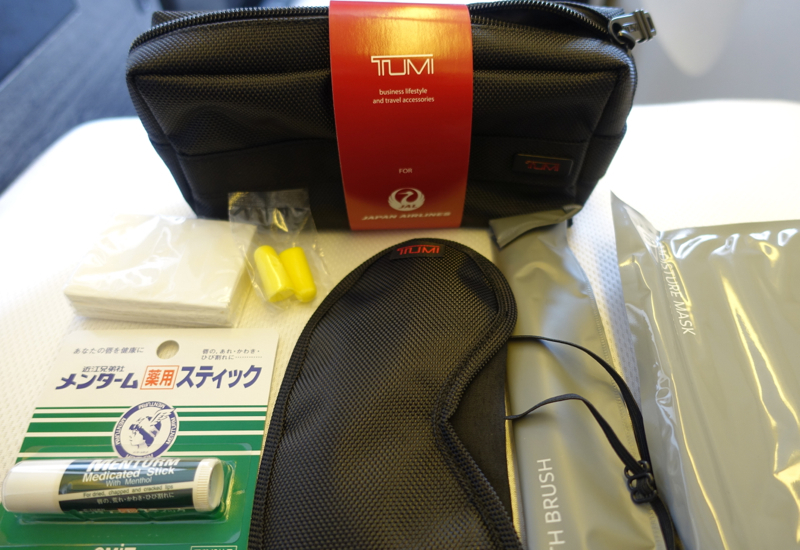 The only TUMI branded part was the sleep mask, and the other inclusions were a toothbrush/toothpaste, ear plugs, chap stick, tissues and some kind of Japanese moisture mask. 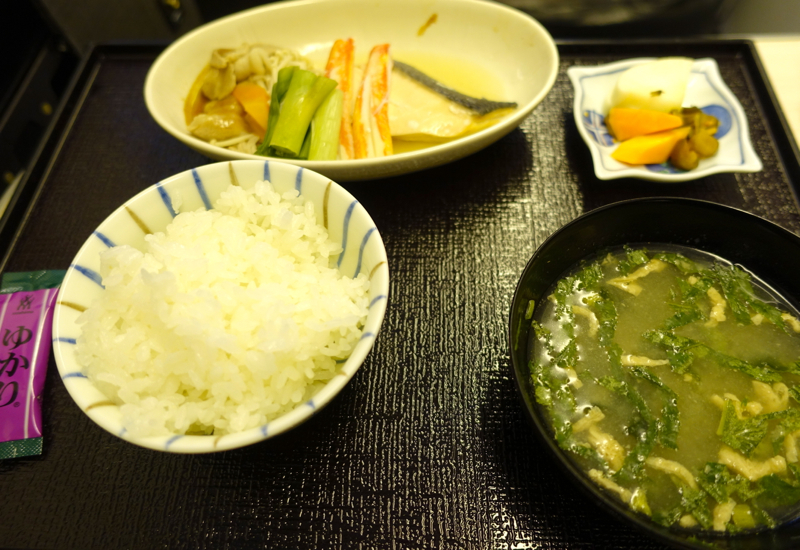 I'd heard great things about Japan Airlines food, so I was at least as excited about the Japanese food as about the prospect of getting several hours of uninterrupted sleep. 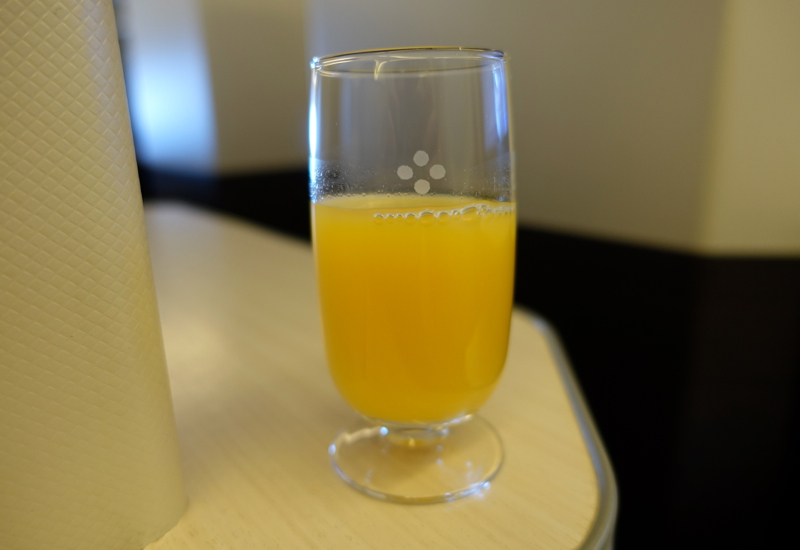 Prior to pushing back, we were offered a pre-flight drink, for which I chose orange juice. 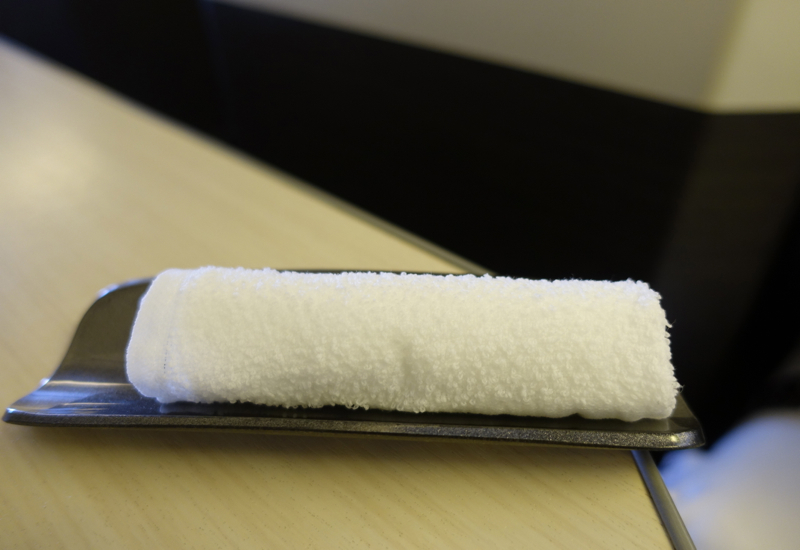 A hot towel was also offered, which came in a little holder rather than being handed to you, and we were given a menu. I chose the Western menu for the munchkin, with the Wagyu beef steak as an entree, but the Japanese menu for me. 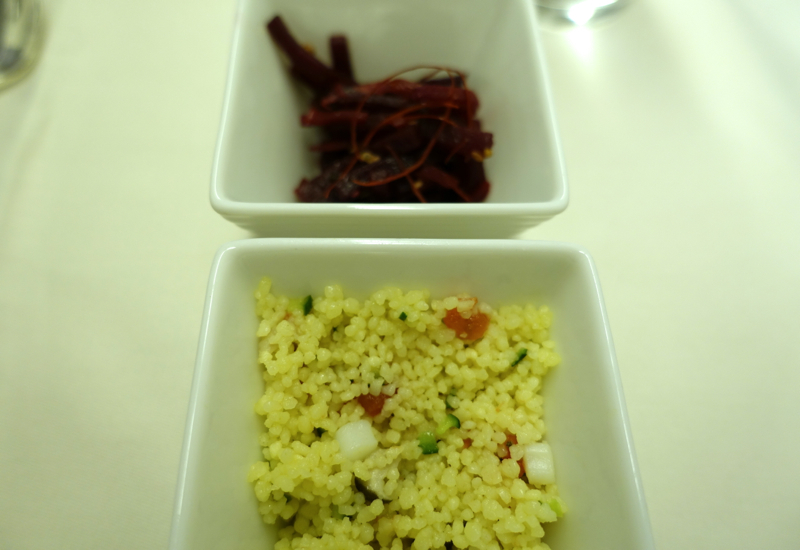 Both started with the same amuse bouche: Spear Squid & Cous Cous Salad and Stir-fried Beet Julienne. I can't say that either was impressive–I would have expected something more tasty and interesting, although at least the beets were probably very healthy. 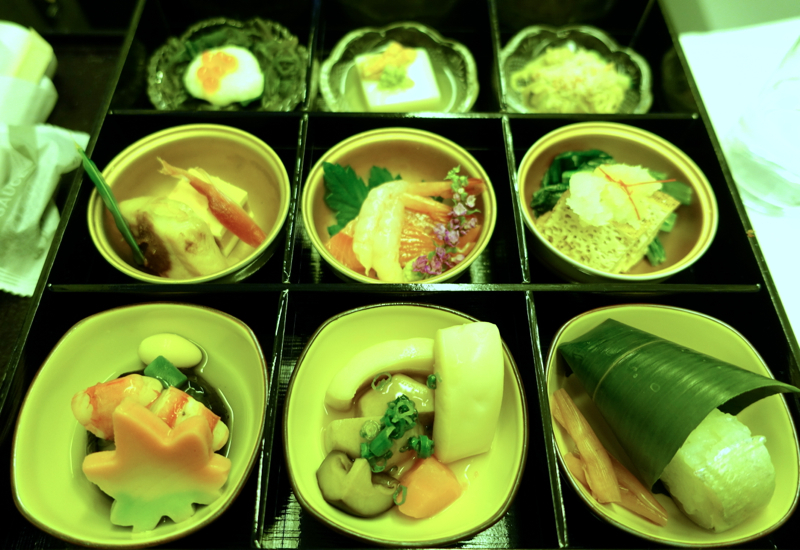 The selection of nine seasonal delicacies in Kobachi bowls that served as the appetizer for the Japanese menu was visually stunning, and unfortunately my photos don't do justice to them. 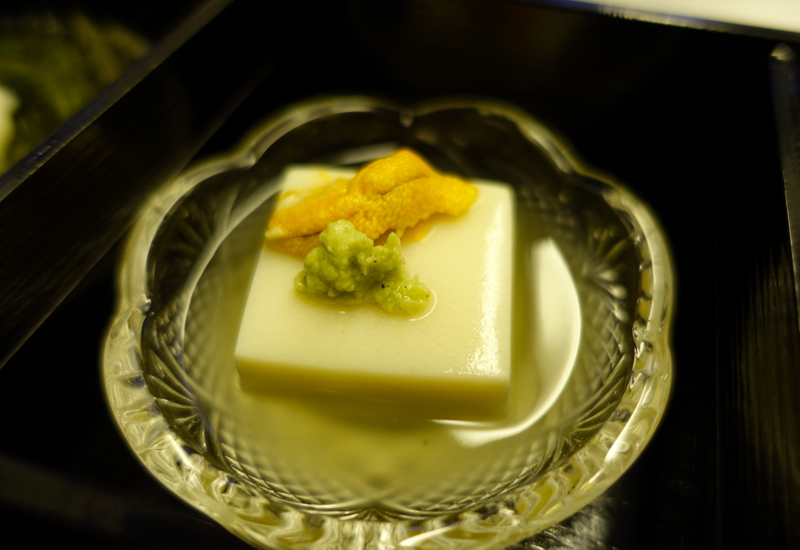 I also enjoyed the Sea Urchin (uni) that accompanied the tofu. Sure, I've had better uni at sushi restaurants, but where else in business class are you served sea urchin? 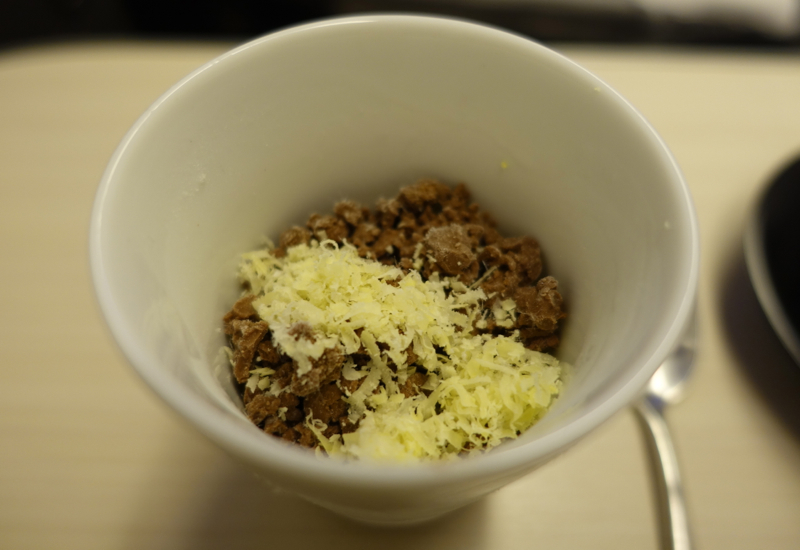 The true fail, however, was the ostensible “Souffle of Chestnut Espuma with Chocolate Ice Cream.” Sounds great, right? Well, this is what it looked like, and it was also frozen rock solid. You would have needed an ice pick initially to eat this, so I had to wait a long while before it softened slightly. A disappointment, and considering that Tokyo has a discerning dessert scene, with outposts of pastry lumineries such as Pierre Herme, I would have expected a better dessert than this. 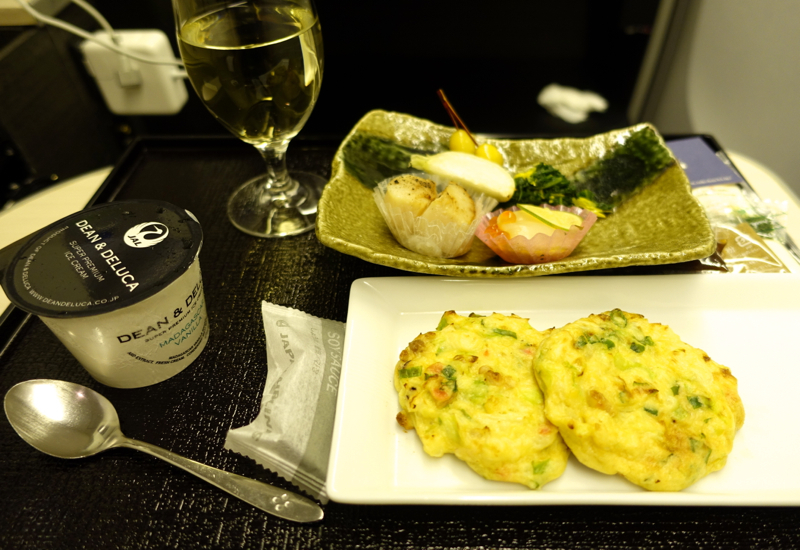 I asked one of the flight attendants if I could have the Okonomiyaki from the Anytime Menu and the Scallop dish from the Light Meal Menu, along with some Dean & Deluca vanilla ice cream, and she was happy to oblige. Okonomiyaki is one of those Japanese street foods, along with Takoyaki, that I loved to get at street fairs when living in Japan. I haven't found a great source for it in NYC, but I'm sure there probably is one near St. Mark's Place. This mini version lacked of course the crisp crust of a freshly made version, as to be expected from needing to be reheated on an airplane, but the sauce and condiments accompanied it, so at least much of the flavor came through, even if the texture wasn't great. The seared scallop similarly suffered a bit since of course it wasn't freshly seared, but the scallop sashimi with salmon roe was excellent. 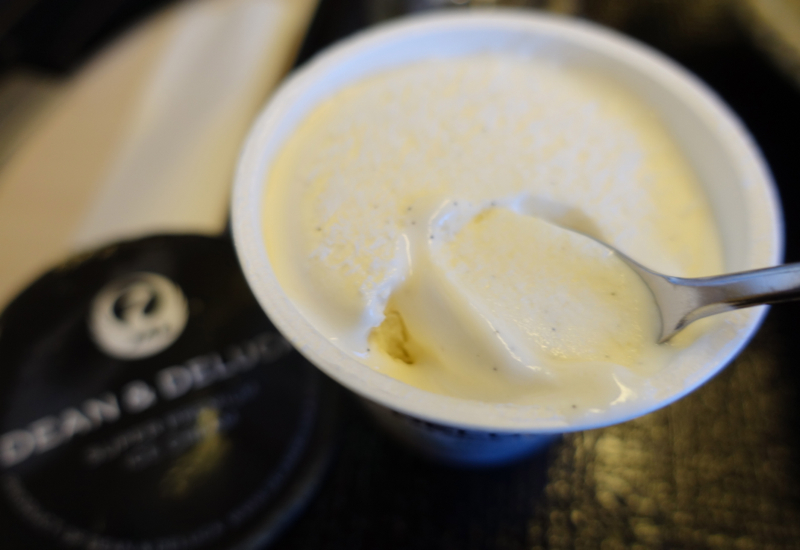 Fortunately, this time round the dessert didn't require an ice pick to eat–the Dean & Deluca vanilla bean ice cream was the right consistency to eat with the provided spoon, and delicious, even if I would have preferred more variety in terms of dessert choices (it was vanilla ice cream or fresh fruits). 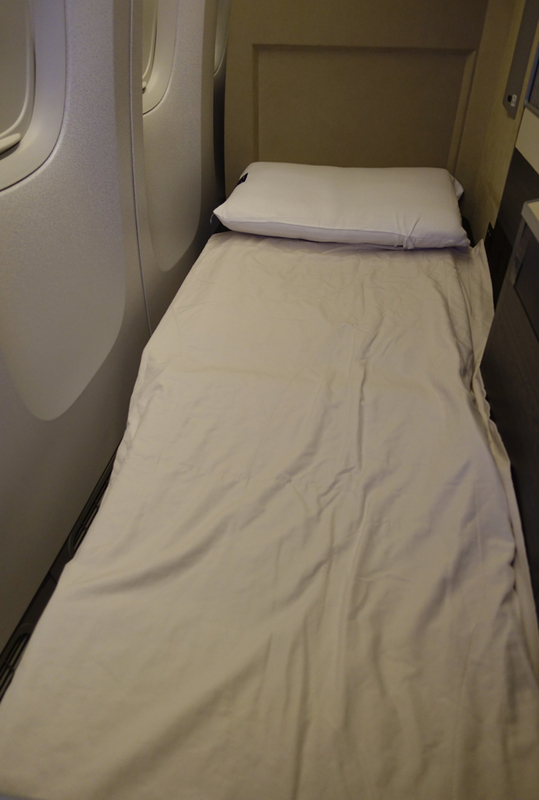 I should have, though (note that the mattresses are located in one of the overhead bins), because when I finally got the airweave mattress on top, it was easily the most comfortable business class bed I've slept in. 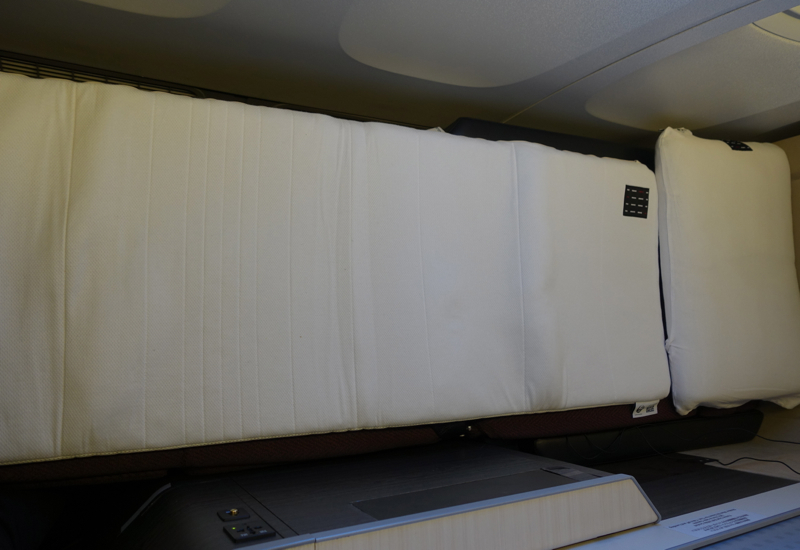 Most business class seats don't even offer a mattress pad, and even many first class mattress pads are thin and flimsy. The airweave memory foam product is great, and the only mattress pad I've experienced that is equivalent or better is the Singapore Suites memory foam mattress pad. The only issue some will have with JAL Sky Suite Business Class beds is that they may not be long enough for tall passengers, at 74 inches. That's not long enough if my 6'5 husband wants to stretch out, although if you normally sleep on your side with your knees bent, it could still work. 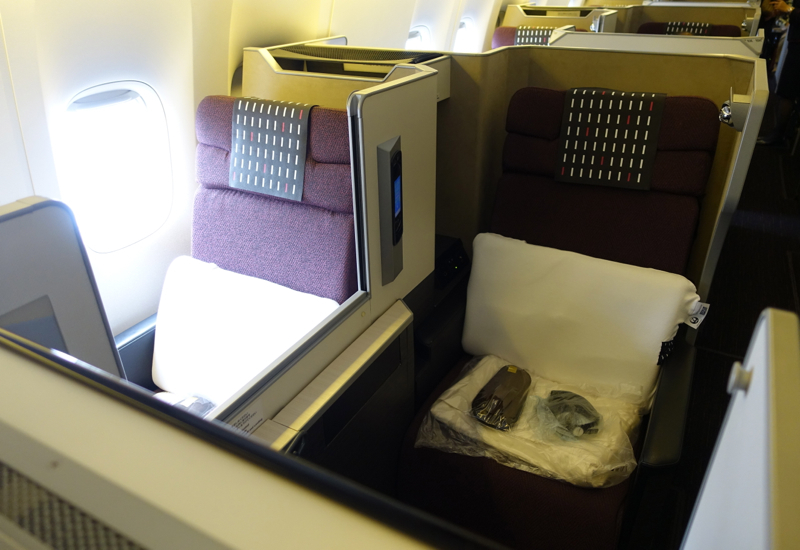 I always tell my clients that Business Class is all about the bed and hard product, it's not where great service is at–attentive service these days is usually only the purview of first class. 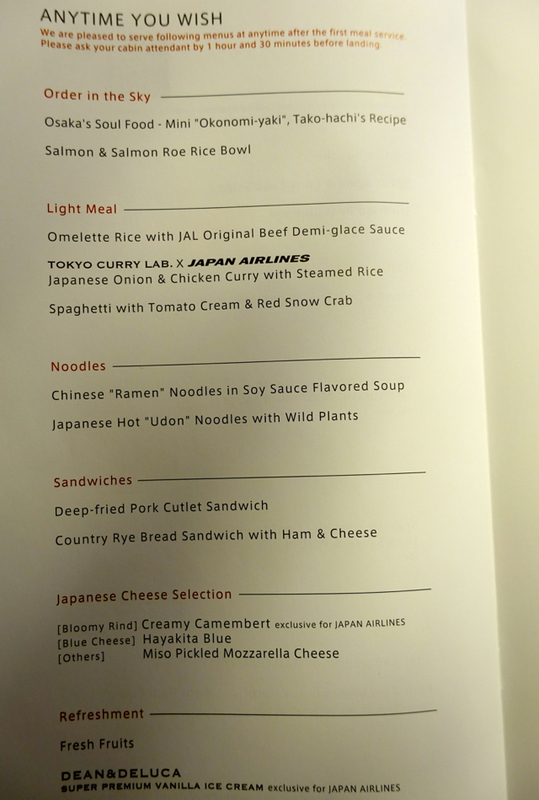 So I'm not picking on JAL Business Class when I say that service was perfunctory, since that's pretty much what you can expect, and I don't fault them for it given the number of passengers. 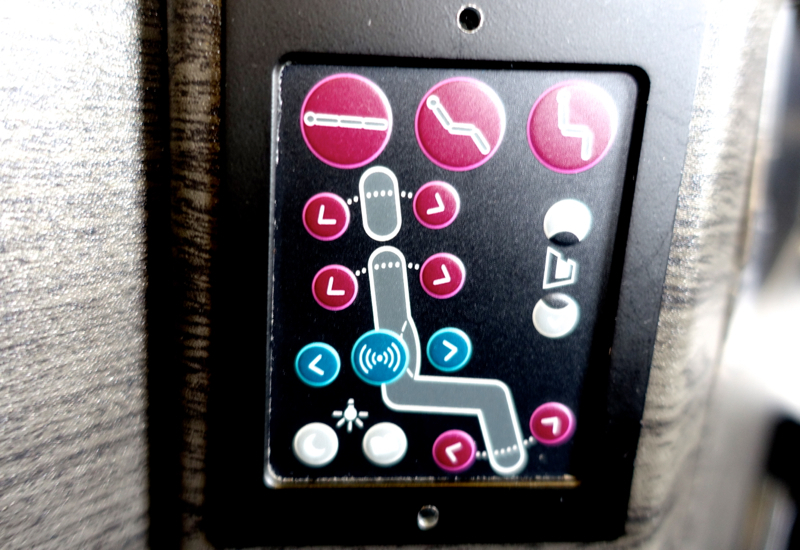 Other than the initial passing out of menus, pre-flight drinks and hot towels and clearing away meal trays, I'm hard pressed to remember any pro-active thing a flight attendant did–I needed to find an attendant for anything I needed. 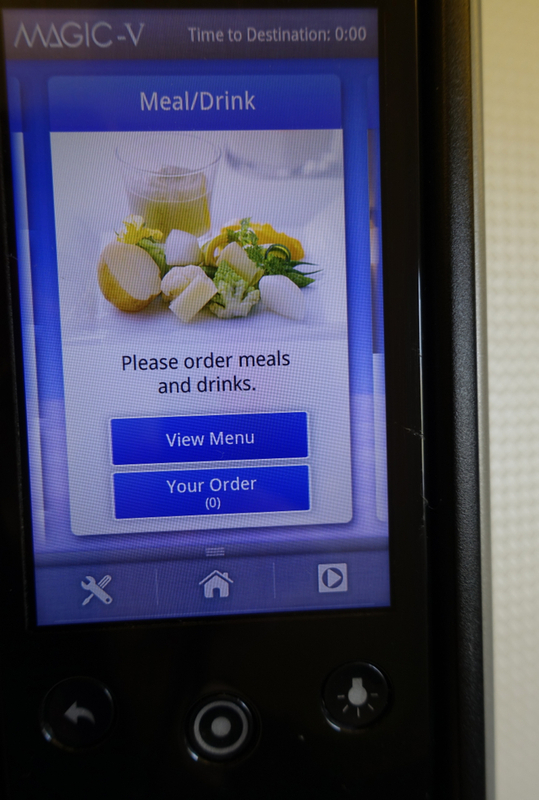 Then again, perhaps it's just a style difference–you're expected to simply use your flight attendant call button and order food/drinks via the IFE. 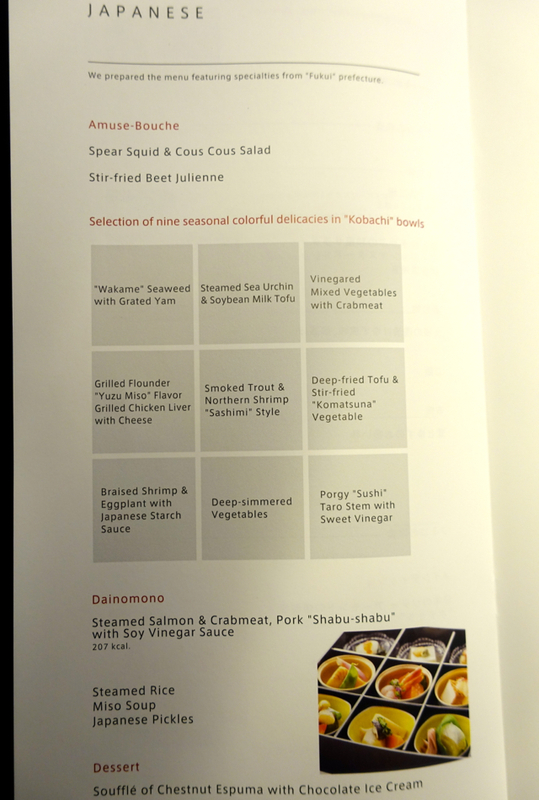 While I've had friendlier and more proactive service in Singapore Airlines Economy Class, I give full marks to JAL Sky Suites Business Class for its terrific hard product. 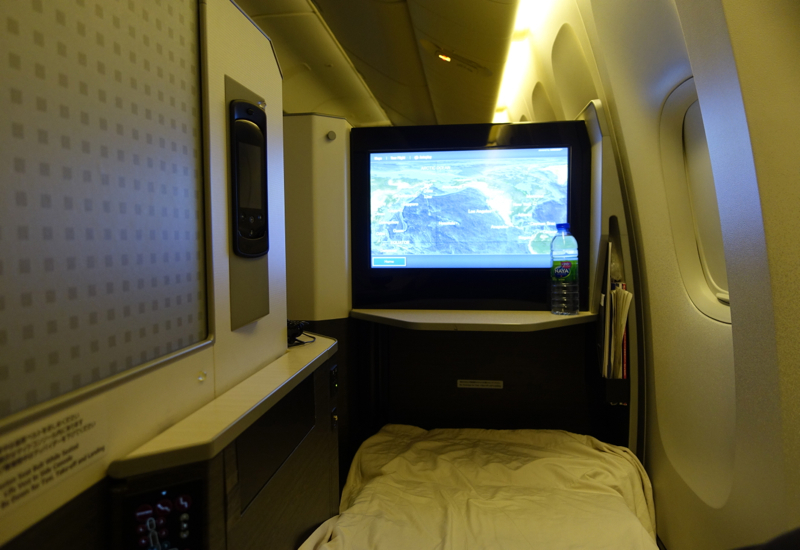 I love the 3 windows and privacy of the Sky Suite window seat, and with the airweave mattress, I view it as the most comfortable business class bed in the sky, at least if you fit within its size parameters. 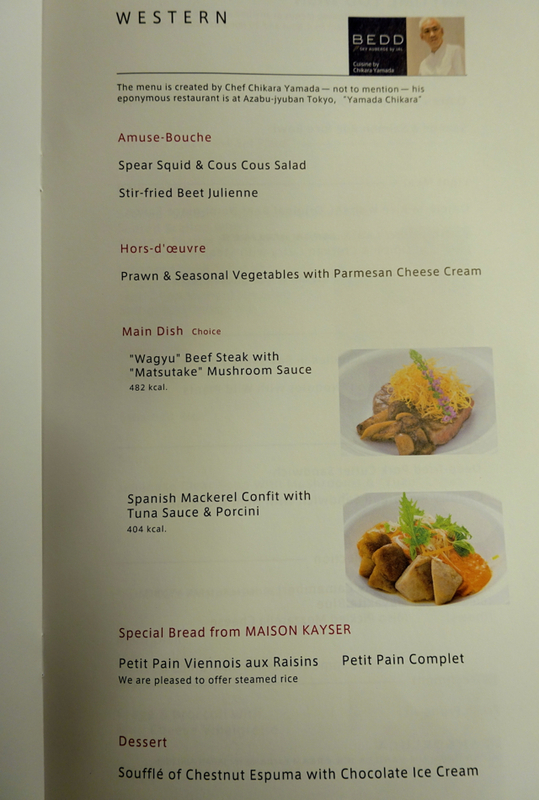 The food was a bit disappointing, but that's mainly because I had high expectations–probably unrealistically so, given that this is, after all, still business class. 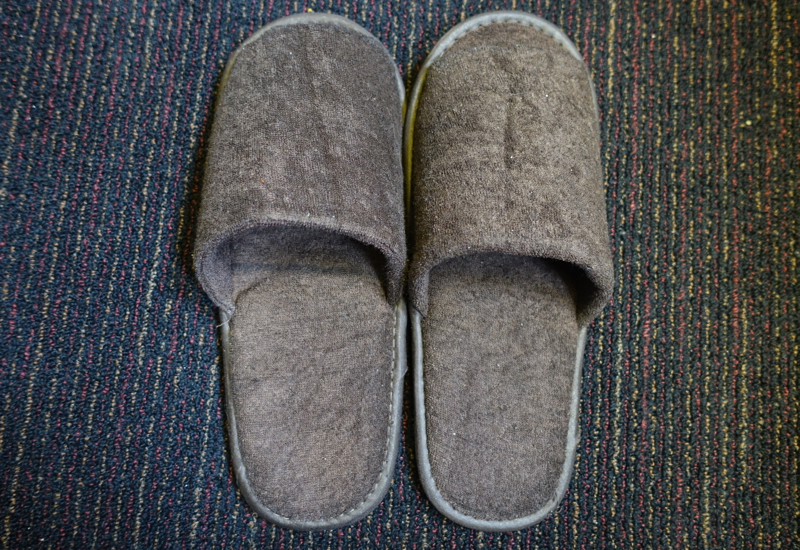 Overall, a top notch business class product assuming you can get a window Sky Suite. 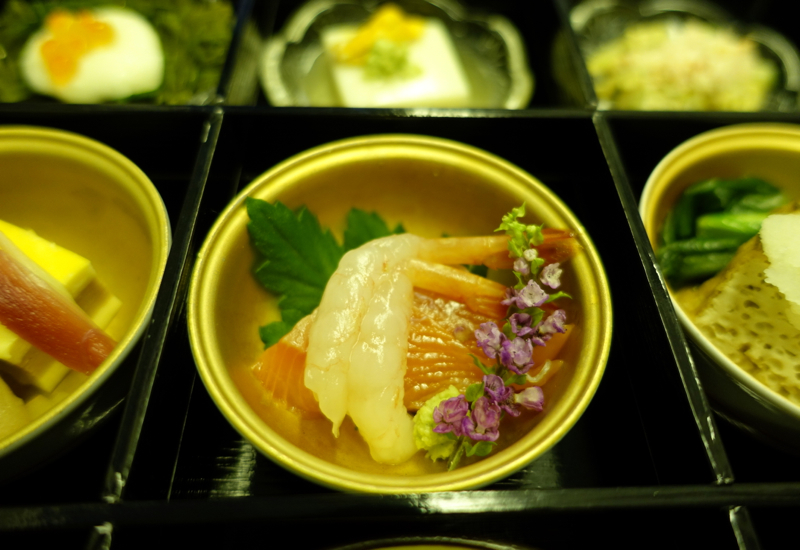 If you've flown in JAL Sky Suite Business Class, what was your experience?